People wait in line for early voting at the Metropolitan Multi-Services Center on West Gray Street Monday, Oct. 22, 2018, in Houston. 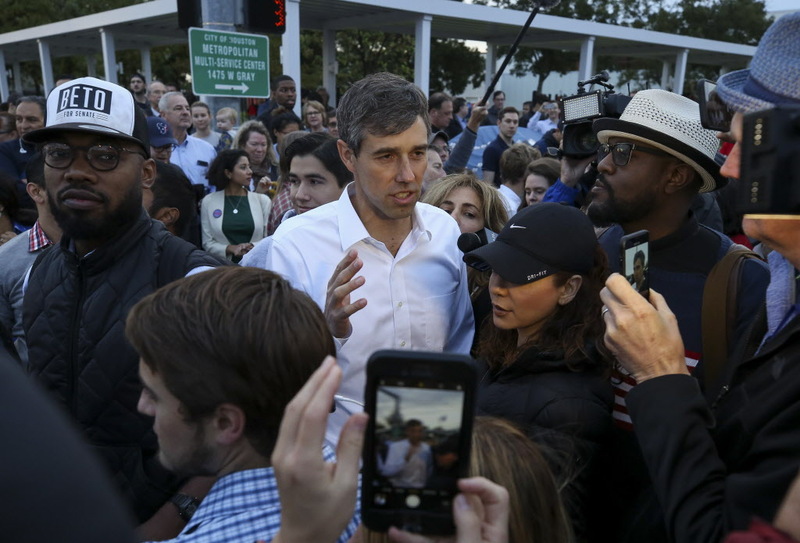 "This is one of the most important elections of our lifetimes," said Cody Pogue, who arrived at 8:30 p.m. on Sunday to make sure he'd be one of the first people to cast a ballot for Democratic U.S. Senate candidate Beto O'Rourke. Just moments later, O'Rourke was across the street firing up his supporters with a bullhorn. "Are y'all ready?" O'Rourke said to a cascade of cheers. "Houston, I love you." Karen Bard, who was in line more than an hour before the polls opened, said she doesn't normally vote in midterms, but O'Rourke changed that. "It's not about me, it's about my kids," Bard said.